This is my one of my favorite morning breakfast meals! 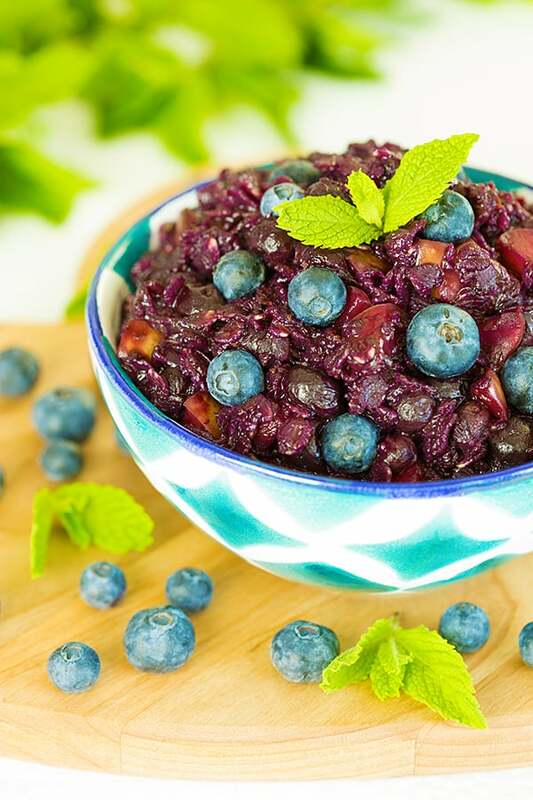 Bursting with antioxidants, these Blueberry Oats are a unique and tropical way to start your day! Blueberries were one of the first fruits to be named a superfood. This oatmeal is a huge dose of antioxidants and anthocyanins. 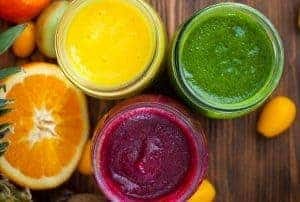 I’m positive you’ve heard of antioxidants, those incredible microscopic beings that keep us young and protected from free radicals, but are you familiar with anthocyanins? Anthocyanins are the pigments that provide the deep blue color to blueberries. They have shown to help prevent heart disease and memory loss. Option 1: Mix all ingredients together. Store in an airtight container overnight in the refrigerator, and eat the next morning raw & chilled! Option 2: Mix all ingredients together in a stovetop pan. Heat on medium-high for about 5 minutes or until the blueberries have defrosted and slightly warm. Hey girl your recipes look amazing, can’t wait for the gummy recipe. Is this recipe for one serving or two? This is for 2 servings!